Heritance Hotels, Sri Lanka’s leading chain of resorts, owned and managed by Aitken Spence Hotels is once again in the forefront of sustainability with all hotels in its portfolio being awarded the Travelife for Hotels & Accommodations Gold award. Travelife – the international sustainability certification scheme – assesses a property’s performance in managing social, environmental and economic impacts. 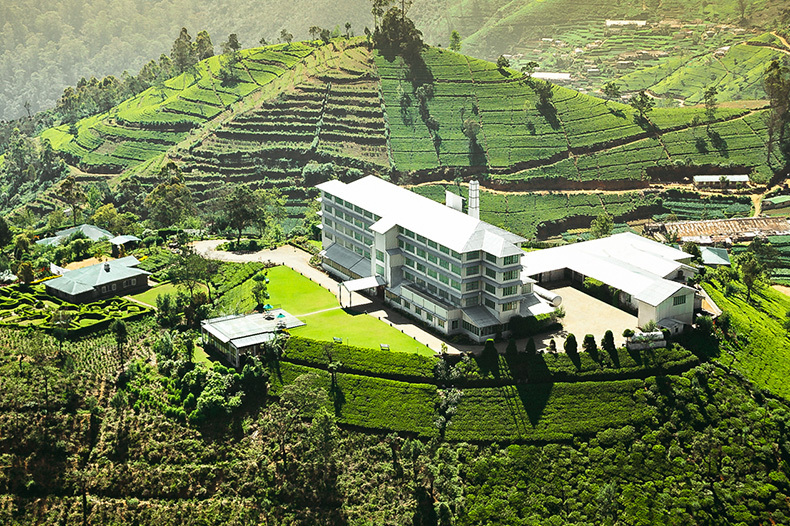 The Gold award achieved by Heritance Tea Factory, Heritance Ayurveda Maha Gedara, Heritance Kandalama and Heritance Ahungalla is a testament to the chain’s deep commitment to sustainability. Travelife is a practical tool which assists properties to monitor and manage their social and environmental impacts. The scheme which is supported by some of the largest tour operators in the industry helps hotels cut costs and increase sales, by improved sustainability. To gain Travelife Gold certification the hotel must meet the 150 sustainability criteria set by the scheme. This includes environmental issues, such as minimising waste and use of energy, water and chemicals, as well as taking positive action on social issues, such as employee welfare, working with the local community, child protection and human rights. Hotels must display how they are helping to support local businesses and protect local traditions and wildlife. The Heritance Hotels portfolio underwent a stringent audit process which focussed on energy saving practices, waste management, emission and environmental sustainability principles followed by each Hotel. The audit results are scored on Bronze, Silver or Gold depending on the degree of the Hotels commitment towards the environment and locality in which it operates. Achieving Gold status is not an easy feat and it is a remarkable achievement that the entire chain achieved this accolade. Heritance Hotels, a pioneer in practicing and promoting sustainable tourism in Sri Lanka, has taken numerous initiatives in ensuring that energy consuming assets have been managed effectively and energy conserving technology has been implemented at each resort. Heritance Ahungalla, one of Sri Lanka’s leading beach resorts, was the first hotel in Sri Lanka to receive the ISO 50001:2011 certification. Heritance Ayurveda Maha Gedara, was the first net metered hotel in Sri Lanka and Heritance Tea Factory and Heritance Kandalama were the first in the hospitality industry to utilize a biomass gasifier as a renewable energy source. Apart from the significant systems implemented at the resorts, all resorts use Sewage Treated Plant (STP) water for irrigation and have replaced incandescent lighting with CFL and LED lights. The 7R recycling program practiced by all resorts in the chain strives for zero waste to the environment. All waste produced is recycled or disposed of with no impact to the environment in which each hotel operates. Heritance Ahungalla, Heritance Kandalama and Heritance Tea Factory have in-house green pavilions and eco centers where training is provided to guests and the community on the benefits and importance of recycling and reducing the impacts on the environment. Heritance Kandalama has been identified as a bio diversity hot spot with surveys revealing that the 170 acres of owned and 50 acres of leased land preserved by the Hotel has 43 species of mammals, 173 species of birds, 33 species of reptiles, 8 species of amphibians, 82 species of butterflies and 125 floral species including trees and climbers. Heritance Hotels is closely linked to each community it operates in with over 40% of its staff being employed from the local communities. In addition facilities such as the Arts and Crafts center at Heritance Ayurveda Maha Gedara are provided for local craftsmen to showcase their talents and keep traditional crafts alive. This also adds to the local economy by ways of added profits to the community and promotion of local culture. “We are extremely passionate about practicing social and environmental strategies and it is indeed motivating to be recognised for our achievements in this area. Our team constantly strives to ensure that we keep challenging ourselves and having gone through the stringent audit process it is encouraging to note that we have been benchmarked against other international star performers and have been awarded the highest accolade in the scheme”, said Mr.Susith Jayawickrama, Managing Director, Aitken Spence Hotels. 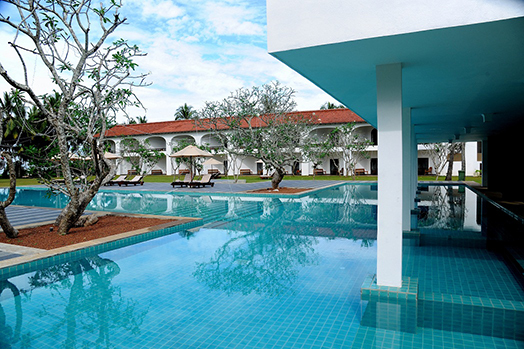 Heritance Hotels and Resorts, the premier brand of Aitken Spence Hotels operate a portfolio of four unique properties in scenic locations across Sri Lanka. Heritance Kandalama was named by The Observer of UK as one of the “Icons of Modern Hotel Design” and Travel + Leisure calls it one of the leading green hotels of the world. Heritance Tea Factory was voted amongst the “100 Best Places to Stay in the World” by Sunday Times UK and was nominated in the list of “Top 5 Factory Hotels in the World” by The Independent, UK. The chain of hotels has been continuously recognized as a pioneer in sustainable tourism and continuously strives to sustain and innovate processes that reduce the impact of its operation on its surroundings. Aitken Spence PLC emerged as a Gold award winner and was listed in the ‘Super Ten’ companies at the HRM Awards 2014 organized by the Association of Human Resource Professionals (HRP) for the sixth time in Colombo recently. It is the only conglomerate to be amongst the winners repeatedly since the inception of HRM Awards in 2002. HRM Awards, widely considered throughout the industry as the pre-eminent awards in recognising organizations and practitioners with outstanding evidence-based HR management practices has reaffirmed with this testament of recognition, the commitment Aitken Spence places for meeting processes and practices that are on par with globally recognized standards. Heritance Kandalama, considered as Sri Lanka’s most awarded hotel, similarly secured a Silver Award and received the category award for best practices in ‘Talent Supply’. 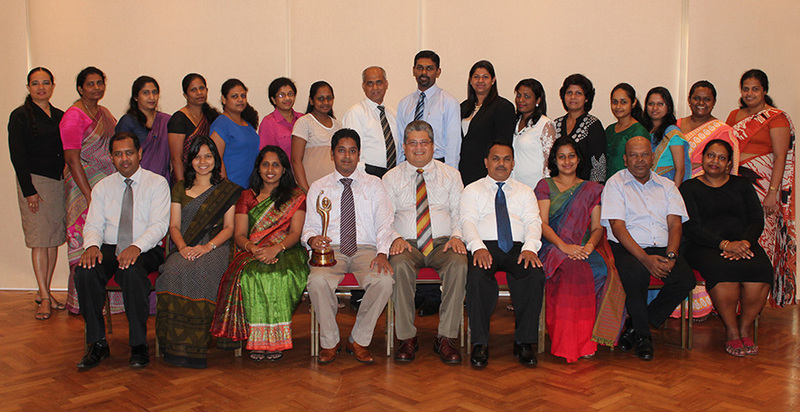 Aitken Spence was the only organization to win 3 awards at this year’s awards ceremony. The Awards’ eminent panel of judges, comprising of prominent local and international HR professionals and industrialists, paid special attention to processes that enhance productivity, promote employee growth and give organisations a competitive, long term advantage in their respective fields of business. The scientifically designed evaluation tool evaluated the best practices of participants against established norms and benchmarks facilitated by Society for Human Resource Management, SHRM, India. Aitken Spence continues to promote innovative thinking and strategies in HR practices within the organization in alignment with world-class standards. Understanding that employees are the core to the company’s success, the Group continues to incorporate diverse career and leadership opportunities both locally and internationally, enhance employee skills and abilities for both professional & personal growth. 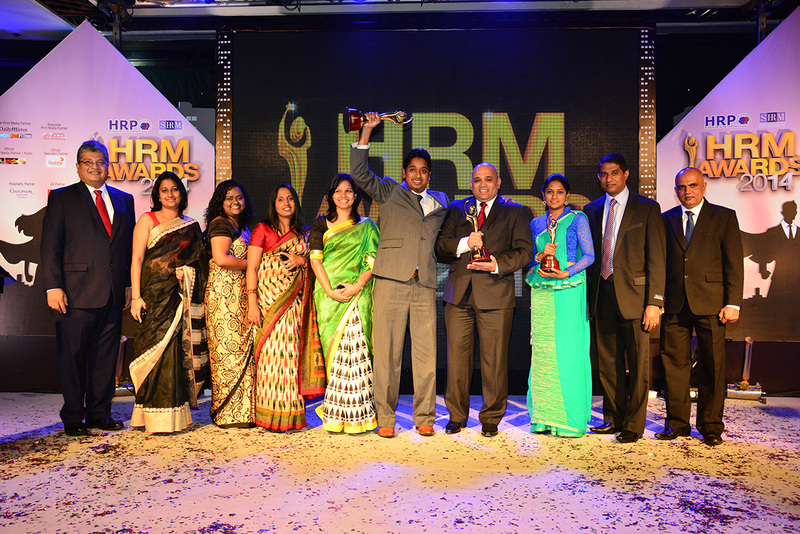 “We are honored to be recognized at the HRM awards as one of the best employers in Sri Lanka with world class HR practices. We understand that a team of highly engaged and enabled employees are the key to the company’s success. I am confident we will continue to observe the highest standards of HR practices for the sustained growth of our company” noted J M S Brito, Deputy Chairman & Managing Director, Aitken Spence PLC. “The continual recognition of our HR policies and efforts at the HRM awards is an inspiring indicator that we are moving in the right direction of making Aitken Spence an Employer of Choice. This award will encourage us to continue to create challenging and exciting experiences for our employees, ultimately creating an open and unique work culture that elevates employees to their full potential”, stated Mr. Rohan Pandithakorralage, Chief Human Resource Officer, Aitken Spence Group Ltd.
Aitken Spence PLC is among Sri Lanka’s leading and most respected corporate entities with operations in South Asia, the Middle East, Africa and South Pacific. It is an industry leader in hotels, travel, maritime services, logistics, power generation and printing, with a significant presence in plantations, financial services, insurance, information technology and apparel.